Submitted by ryanl on Tue, 04/24/2018 - 08:43. 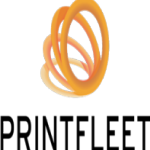 United Business Solutions is proud to annouce we are now offering a new print management solution - PrintFleet. We are offering this software to our valued clients free of charge which will assist us in continuing to improve our Office Automation service delivery. PrintFleet is an app installed on a local PC within your office and will alert our service department when, among other things, toner supplies are low, critical spares need replacement and most importantly, will automatically send us accurate monlthy meter readings therefore enabling us to calculate billing correctly. PrintFleet software is installed on over 1 million devices worldwide and is trusted by some of the world's largest corporates for its simplicity and security. Should you wish to install PrintFleet, please send us a request by clicking here. We look forward to offering your business this world class solution.